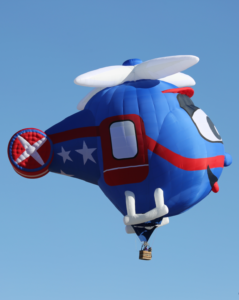 Copter Boy is his 6th internationally known Special Shape that he has built. to fly around the world with my balloons is a great privilege”. world at Balloons over Waikato Wednesday 22nd – Sunday 26th March 2017.